As a new mother, I am getting in the habit of making sure my daughter gets empowering messages on a daily basis. Rather than only hearing she’s adorable (which, granted, she is), I want her to hear about the volume of her power, depth of her compassion, and the scope of her abilities. I recently wrote an article for Inner Fire on this topic: 7 Mini Mantras You Can Share With Your Kids. 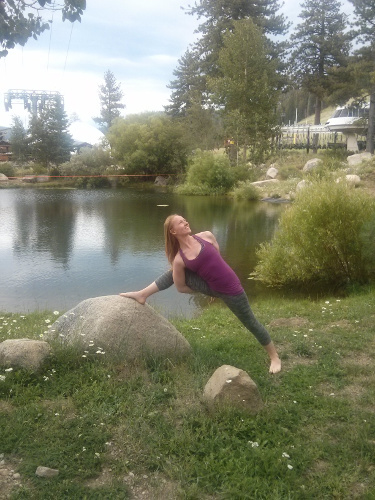 Although it’s presented as suggestions for others, I wrote it as a commitment to myself; these are the yogic messages I want my daughter to grow up on. 5. “It’s okay to have feelings”: Accepting loss and change is not easy. It is normal to feel grief, sadness, frustration, and anger. Resisting these feelings or pretending they’re not there only creates more suffering. Being okay with unpleasant feelings (santosa) and expressing them in healthy ways won’t make them go away immediately, but it will allow you to move through them with grace. When she falls or gets startled, my automatic reaction is to swoop in to hug her, kiss her, cuddle her, distract her from what happened, and prevent her from crying. I like to think that my daughter is getting 24/7 on-call private yoga instruction from me, but this is the exact opposite of how I encourage my yoga students to face challenges. When I’m being more mindful with my daughter, I put a hand on her to let her know I’m there, and say, “How was that, little one?” Often, once she gets past the shock, she goes back to what she was doing as if nothing happened. Sometimes she cries, and then I hold her close if she reaches for me and reassure her, “It’s okay to cry. It’s okay to process what happened.” I think she picks up on it. I notice that from the safety and security of my arms, she immediately looks back to the location of the fall or to the stranger who surprised her and moves through the negative emotion so she can go back to exploring confidently. 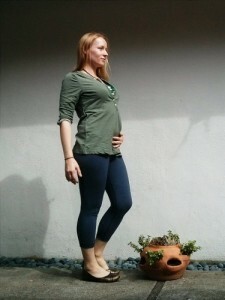 This blog series is not meant to express an opinion about how anyone else should navigate pregnancy, childbirth, or parenting; this is simply the story of how one urban yogi in America moved through her own normal, relatively uncomplicated first pregnancy and childbirth. Although my posts end on positive notes, many parts of the process were challenging for me, and writing this blog helped me stay sane. My hope is that by being authentic about my experience I will empower other mamas to do the same. Because I shared what I was going through, friends from near and far reached out to support me, which made the difficult moments manageable and the joyful moments ecstatic. I thought it would be the birthing process that was empowering, but it was the solidarity from other women that gave me the fortitude to rise fully and completely to the challenge of motherhood. My hope for other mamas-to-be is that you will acknowledge your experience as it is (whether whether that’s blissful, horrible, or somewhere in between), will be unashamed to express that, and will be able to attain the resources you need to navigate your path. 14 – So, What Type of Birth Are You Having? 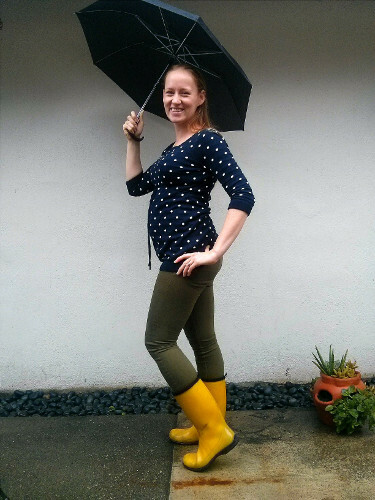 16 – So When Do I Get That Baby Bump? 19 – It’s a Girl! 23 – To Work or Not To Work? 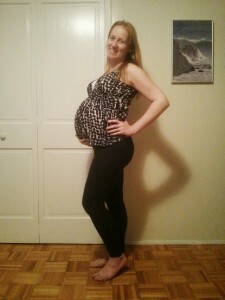 October 13 – October 19: 17 Weeks 0 Days – 17 Weeks 6 Days. I may have freaked out this week. I don’t know if it’s the yoga or just my personality, but I usually have the opposite of big feelings. Rage and jealousy are rare for me, I can’t be bothered with grudges that last more than a couple hours, and I’d describe my experience of excitement more as joyful anticipation. 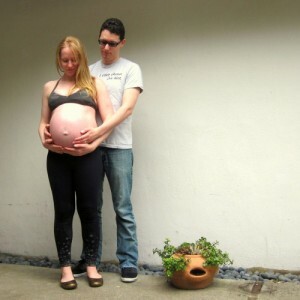 Pregnancy put an amplifier on all that. This week wasn’t my first freak out: early on in pregnancy, I got mad at some movers for having too long a truck (our apartment building had two large parking garages, and they either had to block one garage door or the other). When I confronted them I wasn’t trying to leave the building, I was just upset on principle. Maybe this reaction would be normal for people with a more confrontational disposition, but I wouldn’t usually expend energy and circulate a bunch of stress hormones over a problem that would most likely solve itself. Sure enough, after moving the truck back and forth several times to let tenants in and out, the movers separated the cab from the trailer to accommodate both garage doors. What happened this week had less of an external me-telling-people-off component, but the internal emotional experience was immense. 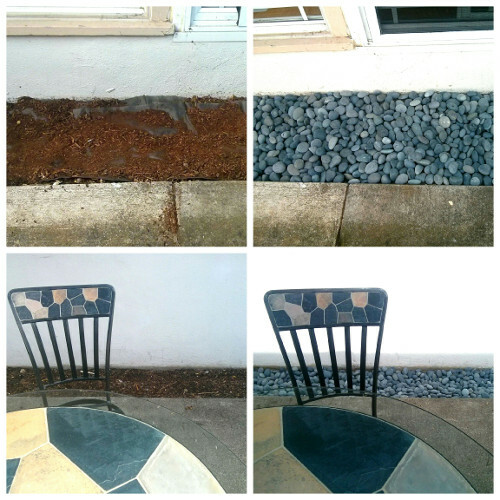 I replaced my patios wood mulch gardens with black Mexican pebbles. When we were looking for our new home, the intention was to find The House. You know, the one you pour blood, sweat, and tears into making your own, raise your kids in, and retire in. 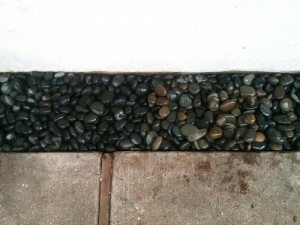 The house we bought and now live in has plentiful outdoor space, and my first blood, sweat, and tears project is to zen-ify the front patio. I took the bags home (where Richard had to unload them yet again), and immediately dumped all six 50-lb bags into the garden. And then I really overreacted. The new rocks definitely did not match the others. The old rocks were exclusively shades of gray, the new rocks included shades of green and orange. Overwhelmed, I ran back inside the house and took a couple deep breaths, then went back outside hoping to have a fresh perspective. I kid you not, when I saw those motley stones my life literally flashed before my eyes: I saw 5 years, 30 years, 50 years into the future, how every time I stepped out into my patio for the rest of my life I would cringe at the sight of the rocks. I put my hand over my mouth and ran back inside. Maybe it was just the lighting… Oh God no, they’re so different. Why do they only have men working at the landscaping store?? Men are much more prone color blindess! The colorful rocks aren’t so bad. I can just mix them in with the others so the garden looks more uniform. Then I looked at the side of the patio that was completed to my vision. No! Green and orange accents were not what I had in mind. 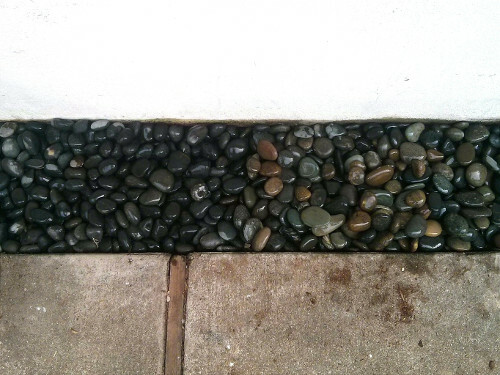 These rocks are a bastardization of my vision. I hate them and I can’t even handle looking at them! But they’re already all in the garden. What am I going to do?? By the time Richard told me it was time for me to drive him to his bus stop I was beside myself, fanning a hand next to my temple like a swooning southern belle. While driving, I tearfully redirected my frustration toward myself, “Why didn’t I trust my intuition? I knew those rocks weren’t right, but I didn’t exchange them even though the guy said I could. Why didn’t I trust myself enough to just exchange them! I was right there, it would’ve taken less than ten minutes.” I don’t think I was actually expecting an answer, but I got one anyway. Richard said plainly, “Because you don’t like asking for help, and you didn’t want to make those guys unload and reload the rocks for you.” In that moment, that didn’t make me feel better and didn’t stop me from continuing to lament (I think Richard was pretty glad when he got to get out of the car), but wow, how accurate. In retrospect, that clear statement from my husband, my mirror, was invaluably informative. I was willing to completely disregard my knowledge and intuition to avoid inconveniencing someone, even if the result would be life-shattering (or at least feel that way for an hour). 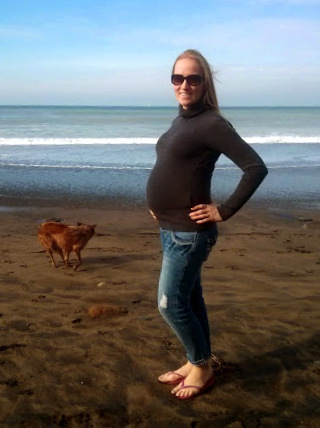 I will have to reverse that habit before attempting a natural birth in a hospital setting where medical interventions may be offered as often for your health as for convenience, comfort, and liability reasons. 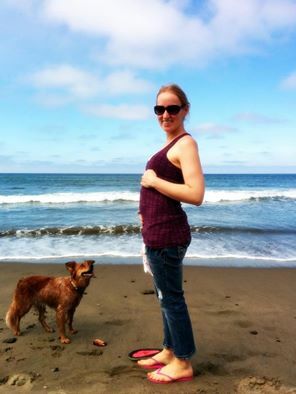 From everything I’ve read and learned, natural birth is all about intuition and self-trust; one of my affirmation is: my body knows exactly what to do. By the time I got home I’d calmed down and started focusing on the solution rather than the problem. I went to work digging the rocks out of the garden and repackaging them. I put my low back out of commission for the rest of the day by lugging one of the bags down to the landscaping store and exchanging it for a bag of black Mexican pebbles that beautifully matched the rest of my garden. The next day Richard obligingly loaded the rest of the offensive rocks back into the car and then unloaded the ones I exchanged them for. I tried not to feel guilty about asking him for help. 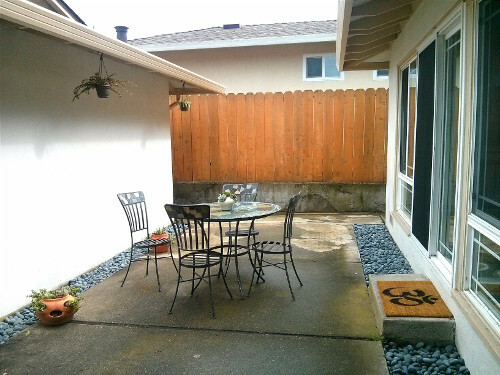 Here’s how to patio looks now. Looking forward to adding more plants! My matching rocks were all in place or the housewarming party on Saturday and I even had time to put in some more potted plants. My vision is coming together! As for the big feelings: I’m continuing to take them in stride, allowing myself to laugh about them in retrospect, and trying to remember to thank my husband for being so incredibly supportive. 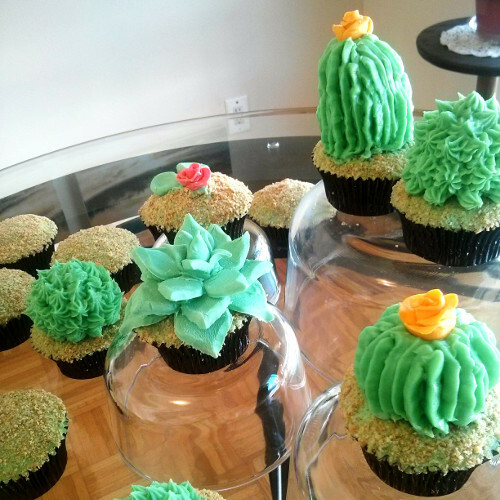 Succulent cupcakes for the housewarming party to match the plants in the patio. ps – If you’re interested in making the succulent cupackes, I used this tutorial.